We are so excited to once again partner with the Boston Ballet School for the ninth annual Next Generation performance at the Boston Opera House. This inspirational evening features up-and-coming elite young artists of Boston Ballet II and Boston Ballet School in collaboration with our own Boston Philharmonic Youth Orchestra musicians. This is the second collaboration between BBS and BPYO. The program opens with Les Passages, which features dancers of all levels of the Pre-Professional program in pieces choreographed by BBS faculty members. 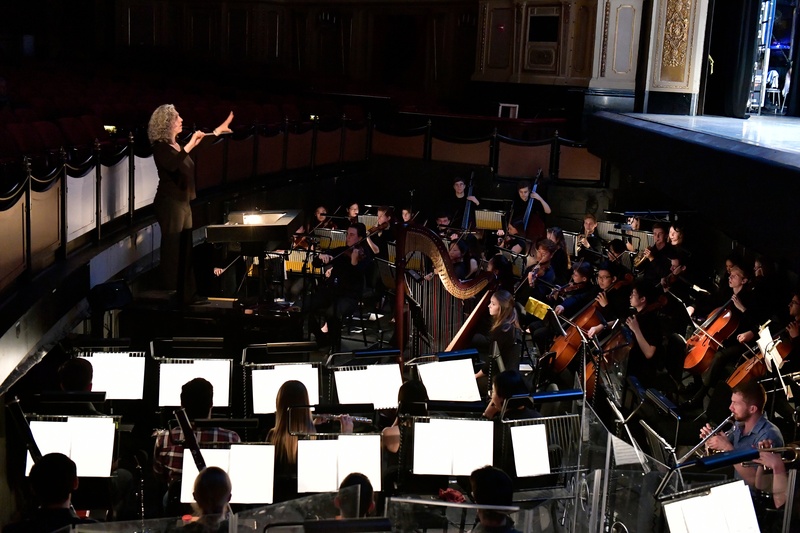 This one-night-only performance takes place June 6 at the Boston Opera House. Boston Ballet School’s Pre-Professional program is committed to training top talent who aspire to professional careers with Boston Ballet and other major companies. Currently, over 20 percent of Boston Ballet’s dancers are graduates of the Pre-Professional program, and 95 percent of Trainee graduates secure jobs with professional ballet companies, a percentage that has increased annually. In addition to BPYO, Next Generation features Boston Ballet II, Boston Ballet’s second company, and 98 Pre-Professional program students, ages 13–19, from across the United States and around the world. 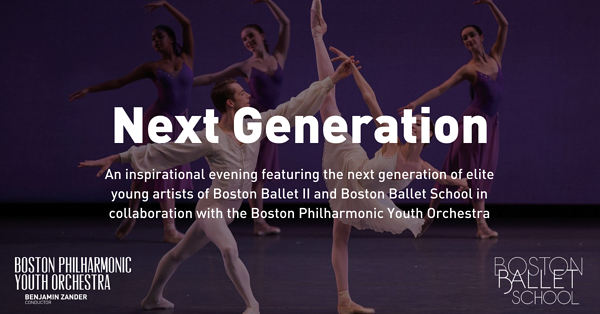 Next Generation is sure to be an inspirational evening with a program that honors Boston Ballet’s future and celebrates its legacy in dance education. Join us for this one-night-only performance at the Boston Opera House on Wednesday, June 6, 2018 at 7:00 pm.